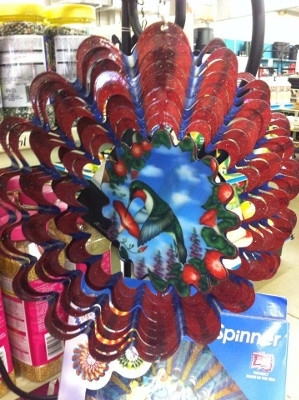 Summon magical beauty into your home or garden with Iron Stop's breathtaking Animated Hummingbird Wind Spinner. 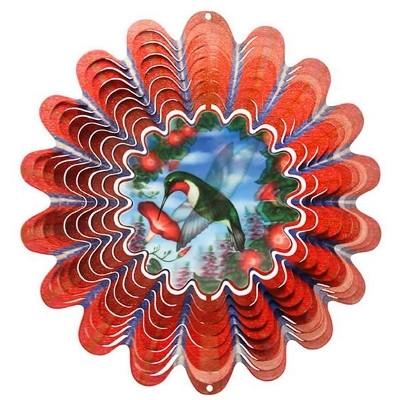 A pleasure to the senses, the bequiling spinner's exquisite artistry and gentle silhouette respect and enhance nature's own finery while introducing your outdoor or indoor space to the beauty of the beloved hummingbird. savoring nectar from a heavenly bloom. Even more, the smallest spring breeze--or warm summer gust--teases it into dazzling action, creating the dynamic illusion of tiny emerald wings thrumming against the backdrop of a beautiful, clear sunny spring day.